I was at a friend's brother's wedding a couple of years ago. I snapped this picture using my Canon point and shoot. I don't know why I took it, or what I was thinking when I took it, all I wanted to capture was the beauty of the centerpieces and to use the black and white option. It was simple, but I liked it. This was before I was serious about photography, but I'd still like to get an opinion on it. I've finally worked out why fast food restaurants are so popular – it's because they don't sell very much. Actually, I should rephrase that. They sell tons. By Volume. It’s the variety I'm really getting at. The menu is short, so your options are short. For people like me this is a very good thing because when faced with more choices than fries or coleslaw I tend to cease up a bit. The opposite to this is the restaurant where the menu spans numerous volumes. The wine list, the starters, mains and the deserts. Now for me I can't just get my head around this. First of all I'm going to be there for at least an hour to go through the main menu once. And then, because I'm aging, and so is my brain, I've forgotten most of it so I have to go back over it all again. By this stage the waiter and my wife are in competition over who can "tut" the most and I'm getting slimmer by the minute. Finally, the decision is made – leave the restaurant and go somewhere where the only decision I have to make is between fries or coleslaw. 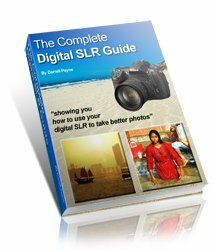 You might think this is as relevant to photography as Tiger Woods is to Formula 1 but bear with me . . . When Ansel Adams started wandering around Yosemite National Park clicking away he had only one choice – black and white. Colour photography didn't come into his life until he was well and truly into black and white. Then choice came into the equation. At first the choice was simply between black and white OR colour. Then somebody invented Photoshop and the choice expanded to black and white AND colour. Now this poses a slight problem for digital photographers – to shoot in black and white or colour (and if you shoot in black and white shame on you! Read here to find out why you should always shoot black and white in colour first). And once you have taken your photo (in colour, of course!) should you convert it to black and white? Black and white photos benefit from a good range of contrast, and simplicity in their composition. Have a look at my number one tip for black and white photography. Flowers do often make good subject matter for black and white photography, but I just wonder if Sheba's photo is one that would have been better left in colour. Aside from that though I do like the composition. In close in on just one flower, and using a wide aperture so that the depth of field is shallow – all good stuff. 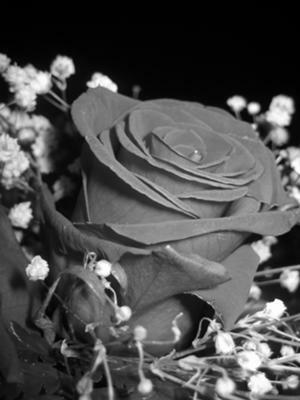 At the risk of adding even more options for the digital photographer – how about taking that original colour rose, increase the contrast a little, and then reduce the saturation so that the photo is halfway to being black and white? Unfortunately Sheba states that the original photo was taken in black and white, so this isn't an option now. 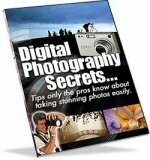 Discover the secrets of professional photographers - easy to learn powerful photography techniques. Black and white, color problem. I think that volume is a very important thing in this piece, so black and white is ok. I'd like to see the color version, though. On the other hand, this could've used a better conversion to black and white. Needs more contrast.